the long version of the story i tell is usually… my Dad’s from Ipoh, I was born in Penang , but school-ed and raised in KL. However, because all my relatives are in Ipoh, and I adore my grandparents (Canning Garden folk) and everything else gastronomically related to Ipoh, I never hesitate to say, to that expat at the bar, to my Japanese boss or to that tourist at the bus-stop, that I am absolutely “Ipoh Mali”…. 100% ! Don’t get me wrong. 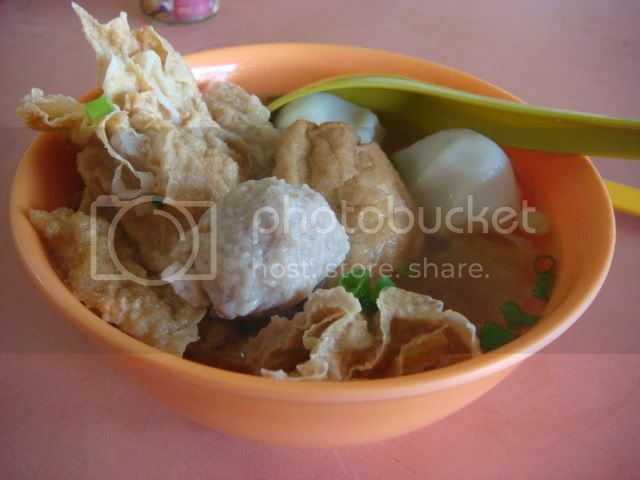 I love Penang food and all, but, for the next 6 blogs or so, i will show u why I regard Ipoh as my hometown… and am totally gobsmacked by Ipoh food. Really. Introducing the reason I get up at 8 am in the mornings in Ipoh, though I am on holiday. 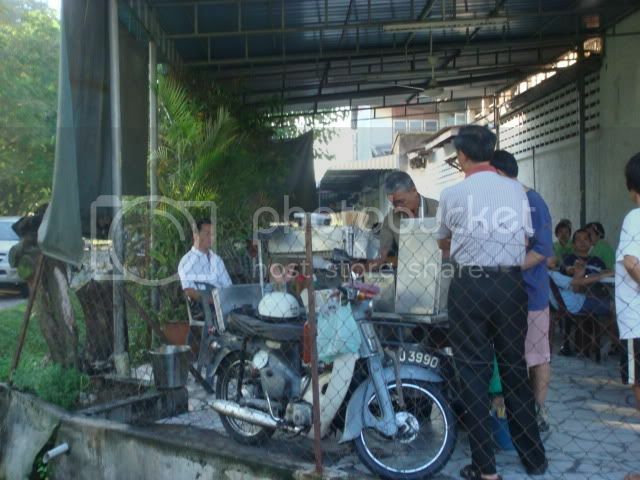 This is a photo of my favourite chee cheong fun man who has been selling CCF at canning for what seems like, erm… all my life! He is soooo grumpy ! I love him ! you see now why I have to wake up at the crack of dawn, don’t u. Since the CCF takes forever to arrive, what with the massive crowd and all, there’s always the nice Yong tau foo lady with her Yong tau foo food ! 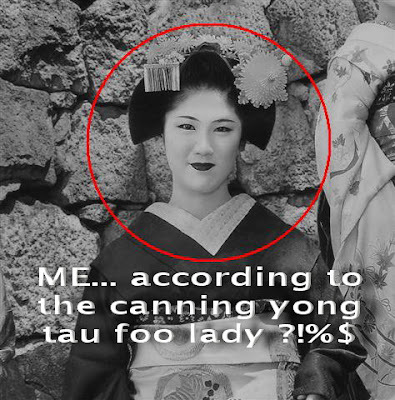 What a darling she is that YTF lady… really. 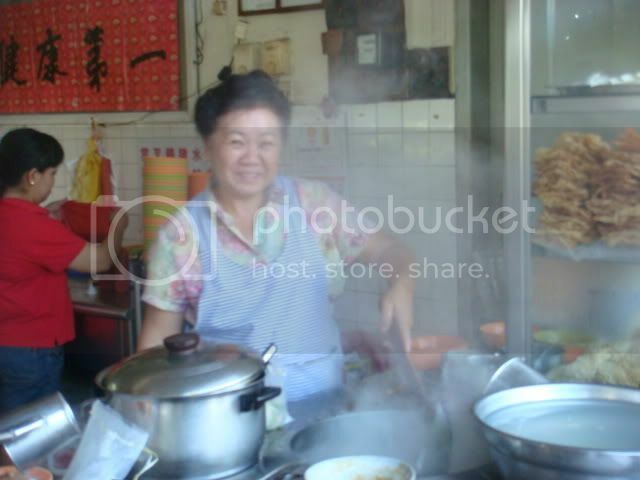 By this time.. your stomach is screaming blue murder.. where.. izzzz … my Chee Cheong Fun? Where? Thin, strong, yummie, chewy, light, springy, delicate, tough…. chee cheong fun !! 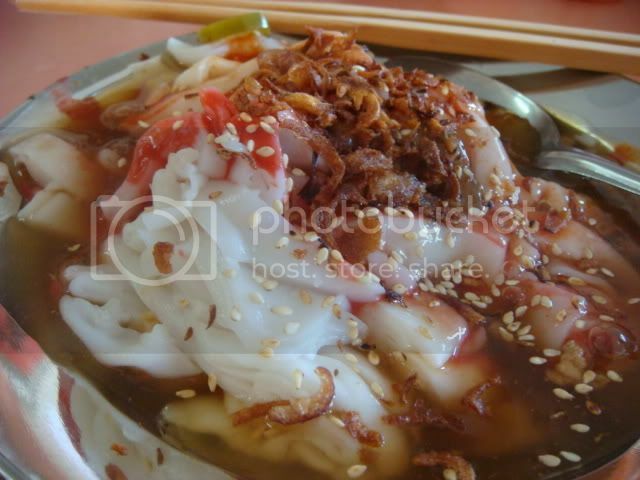 The noodle feels like a cross between Hong Kong Chee Cheong Fun and Kway Teow noodle ( go figure!) and is totally 100% home made. It looks like this! coz we ordered LARGE! Next stop…. Indulging at Indulgence… ! Ya I kena yelled at by this ccf seller – he does not suffer fools. What to do when the addiction comes – got to tahan him. Nice blog. Nice write up..pls advise address/map to this place..